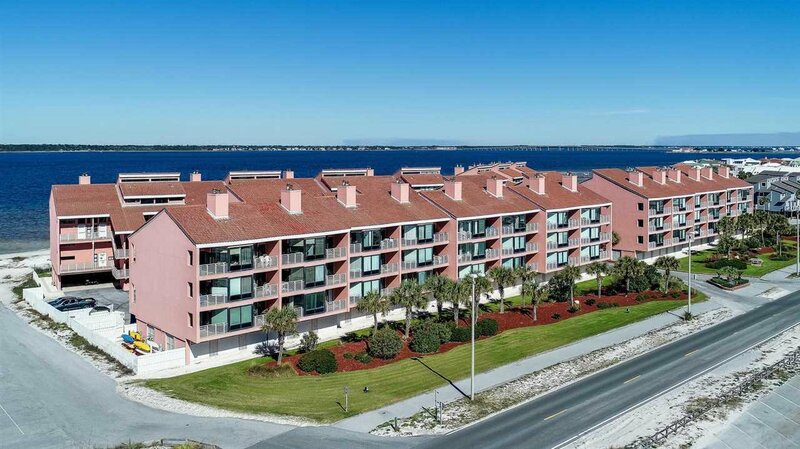 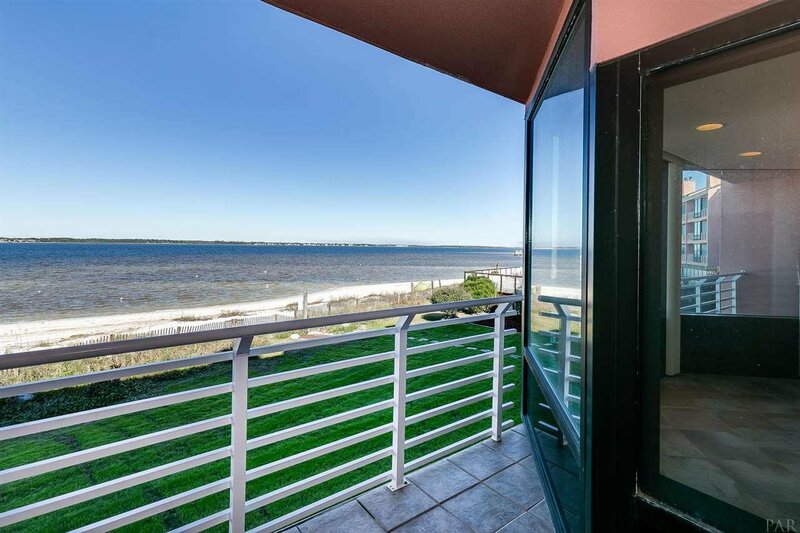 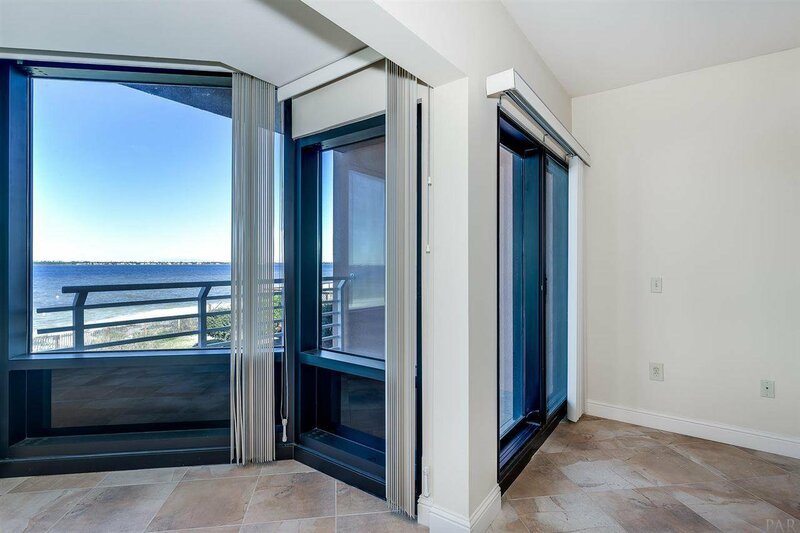 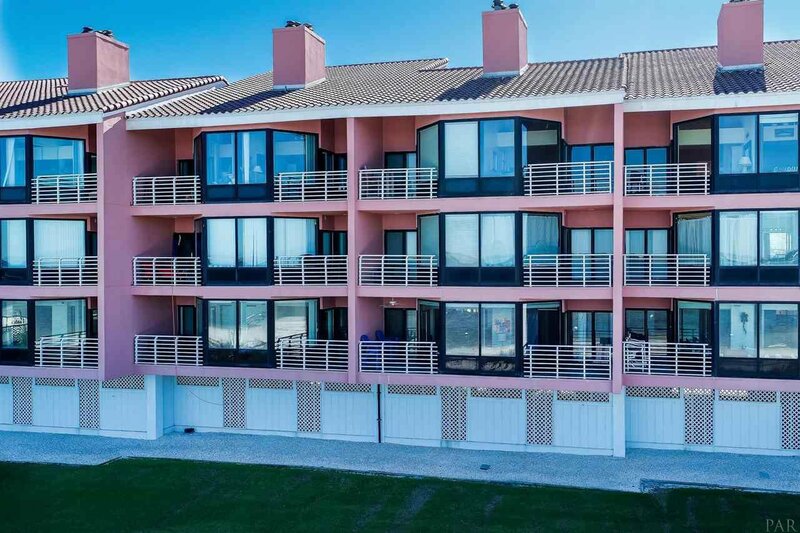 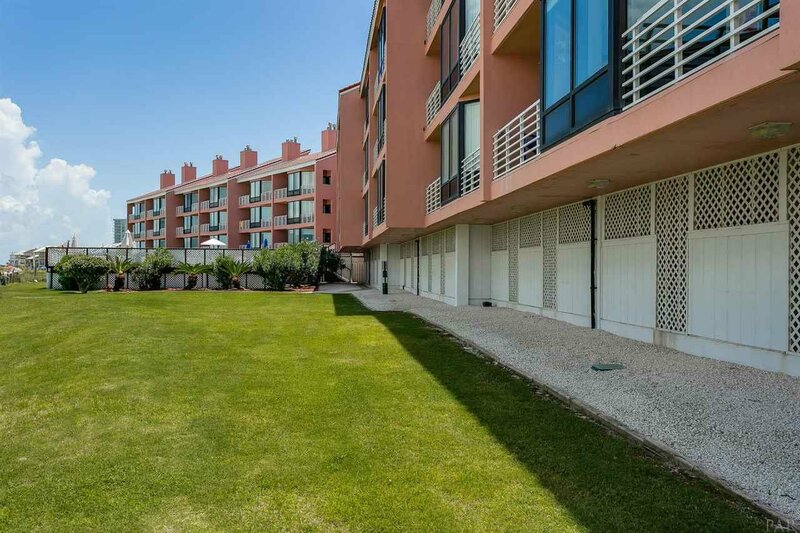 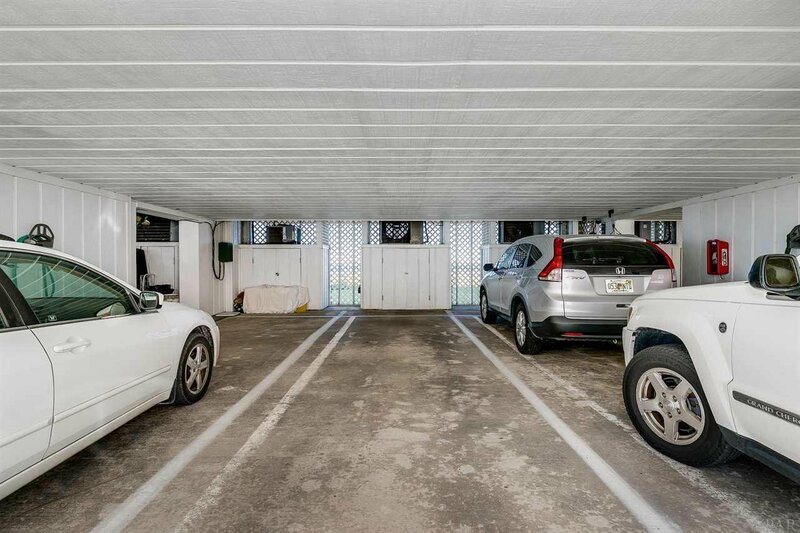 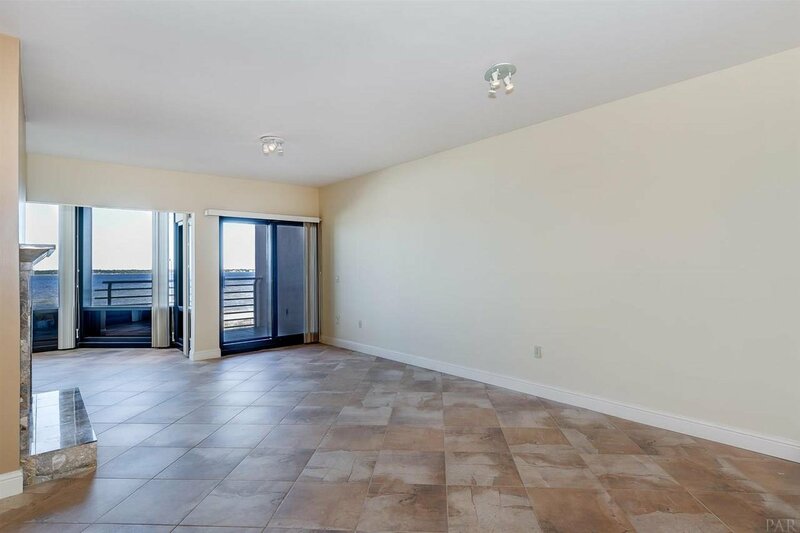 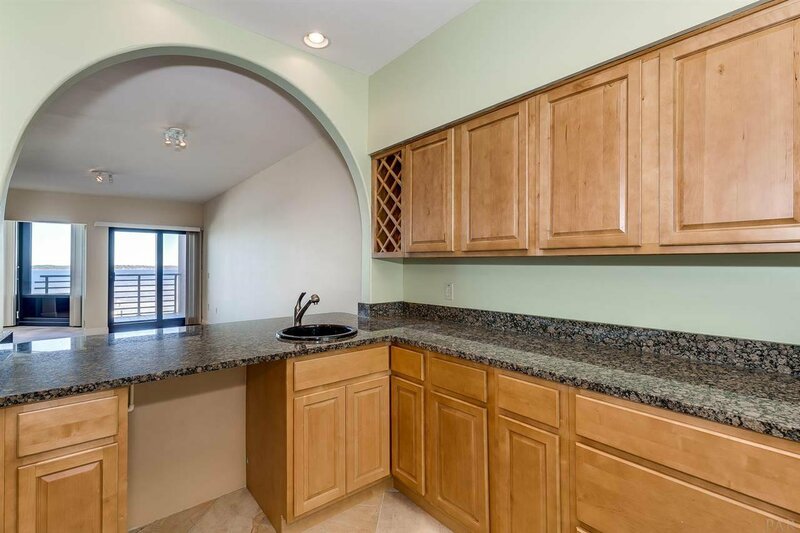 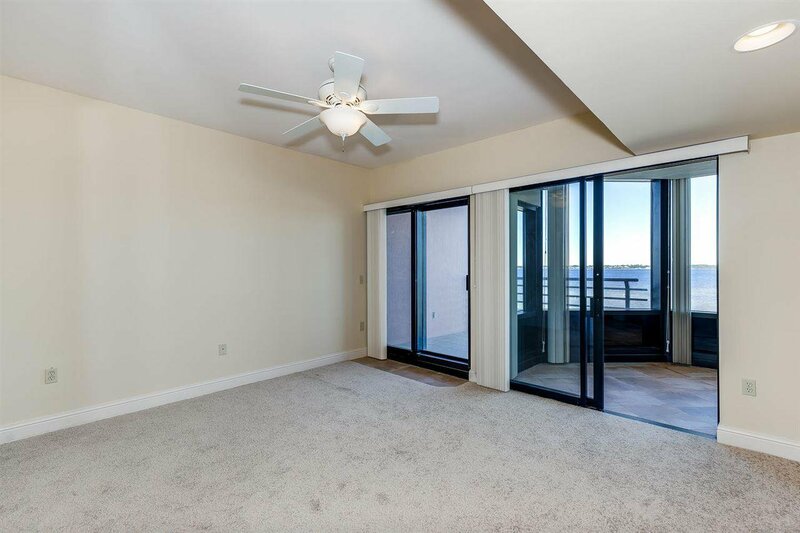 This desirable flat style waterfront condo is in the beautiful gated Palm Beach Club, located between the Gulf of Mexico and the Sound. 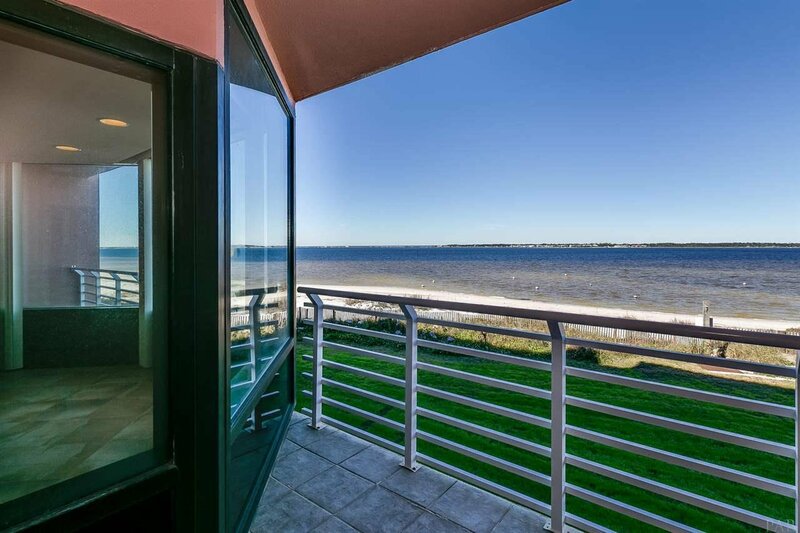 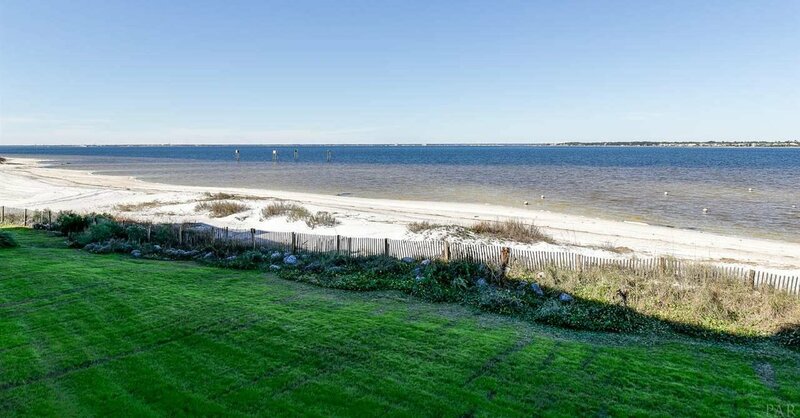 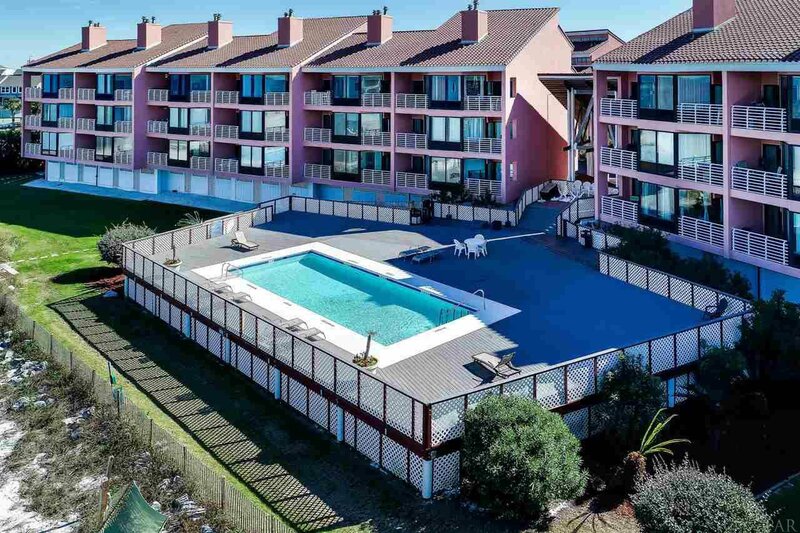 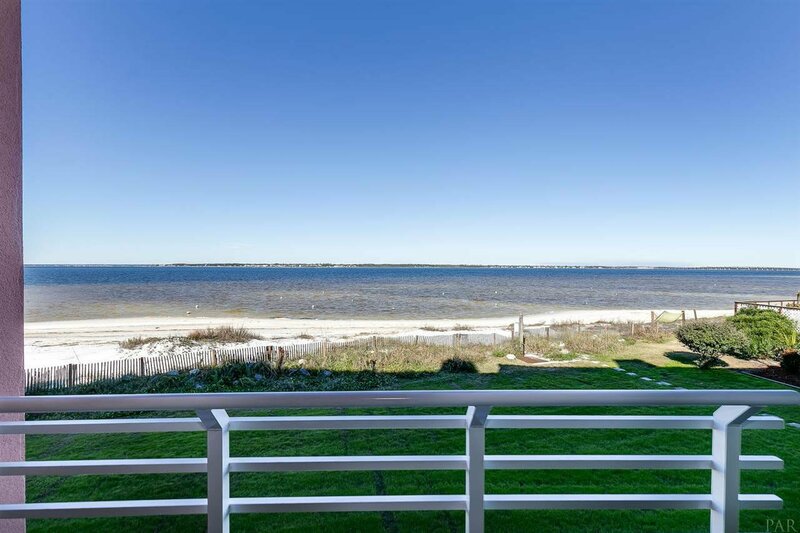 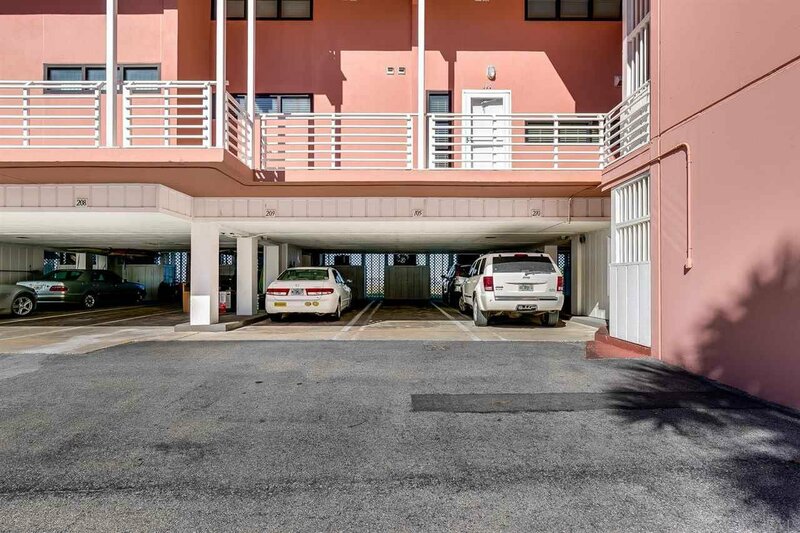 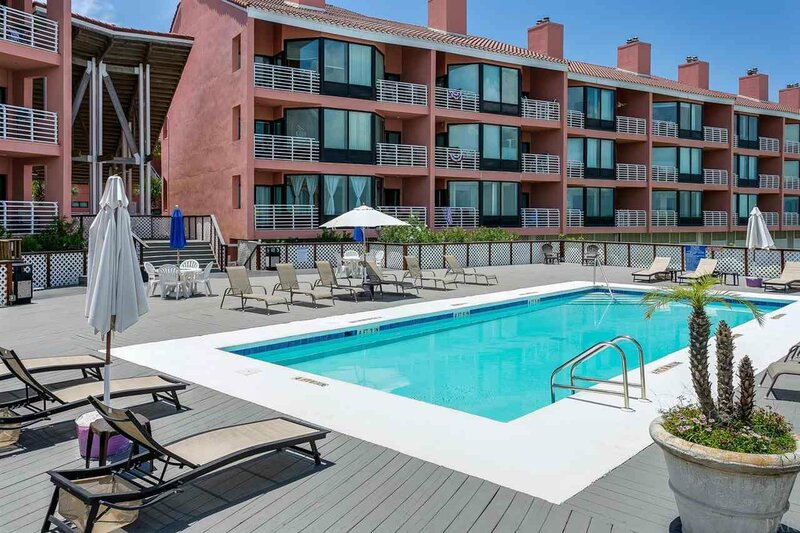 Surrounded by white sandy beaches and lush tropical landscaping this condo has panoramic views of the Sabine Sound, and the community pool. 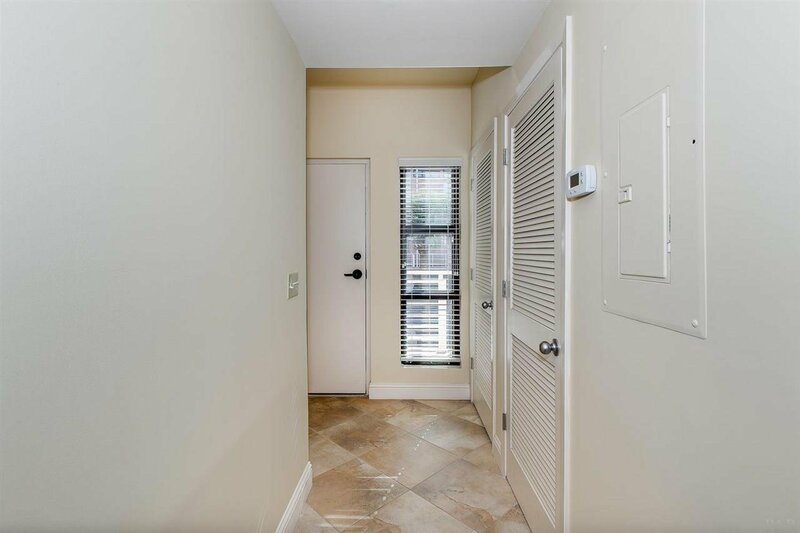 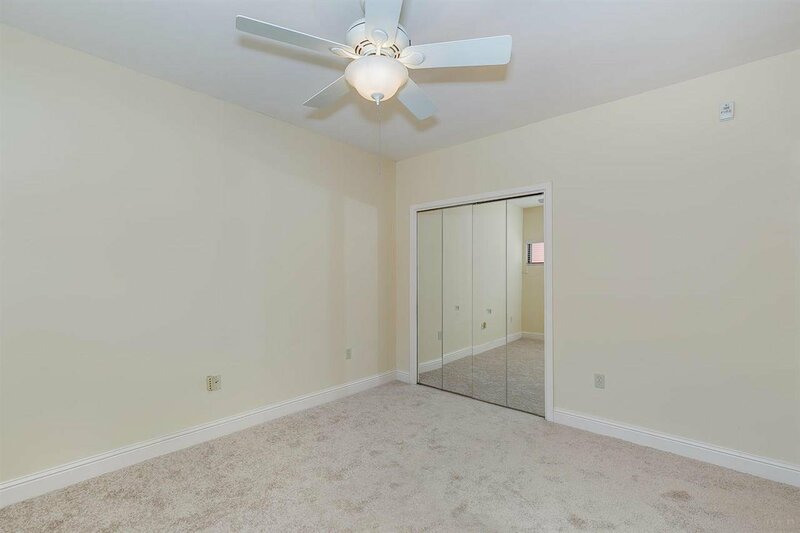 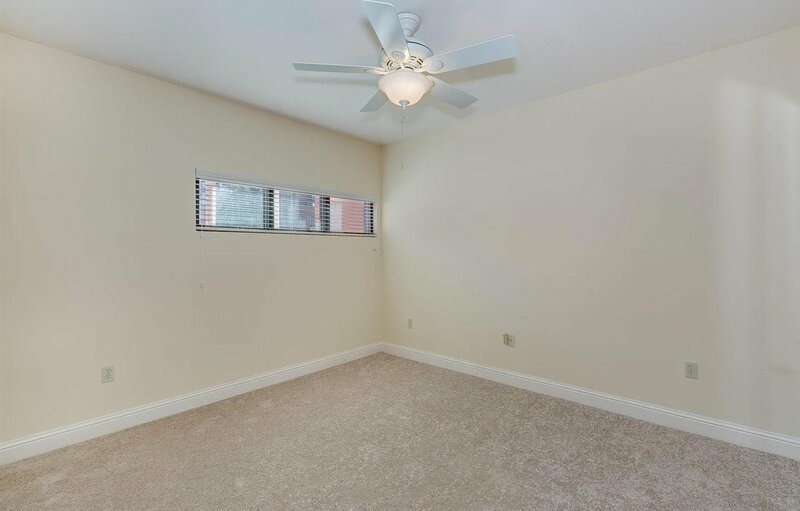 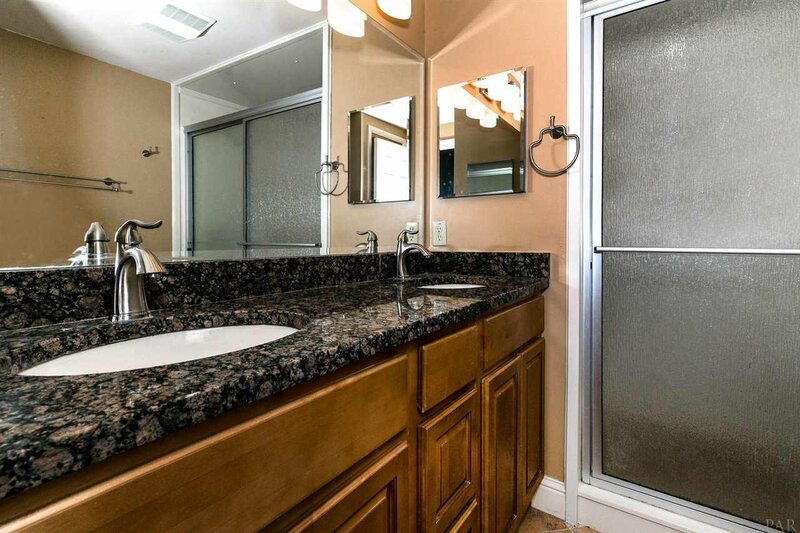 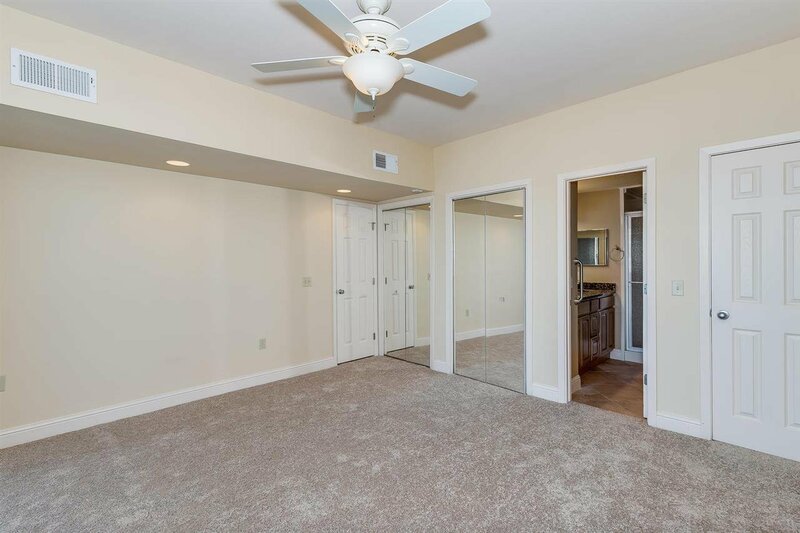 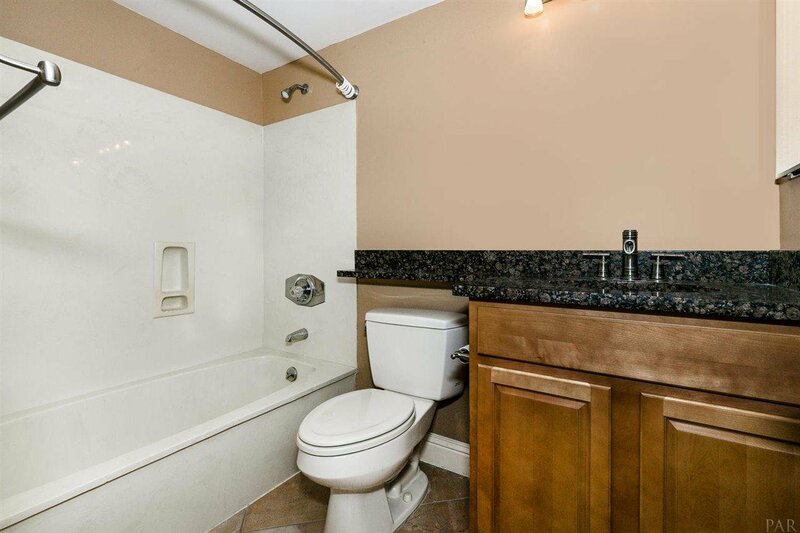 Unit 105 has new carpet in both bedrooms, tile in both bathrooms and tile in main living areas. 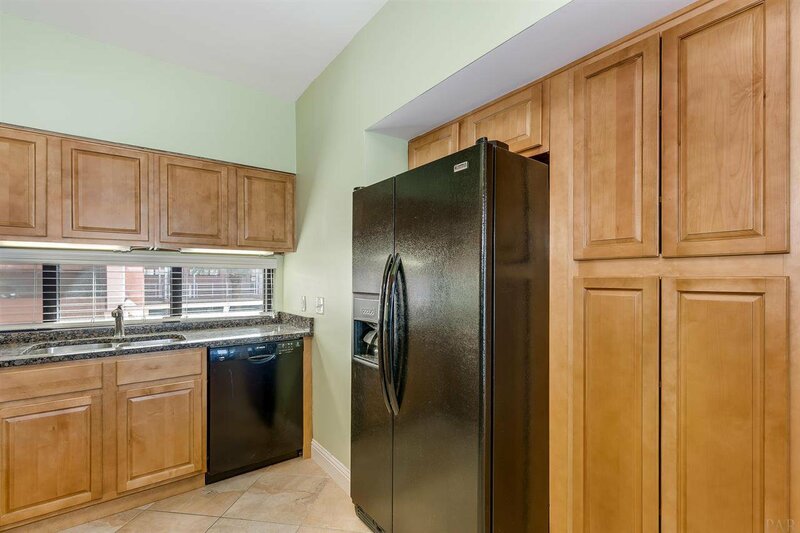 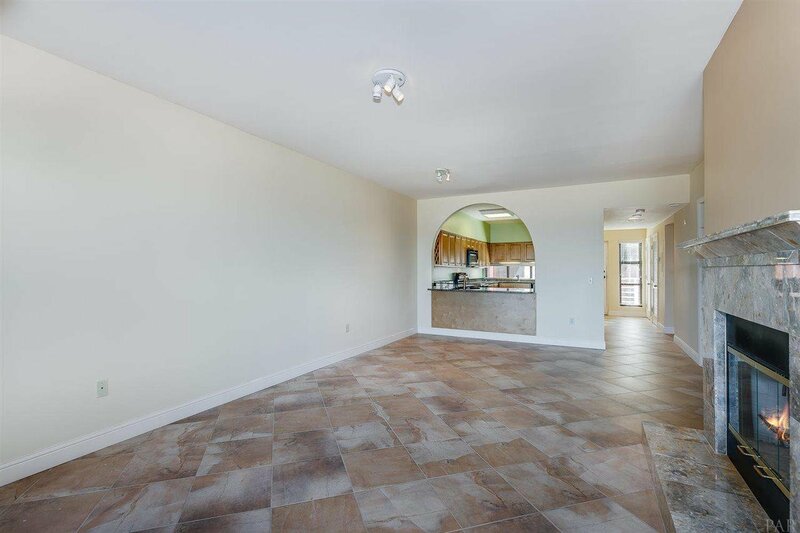 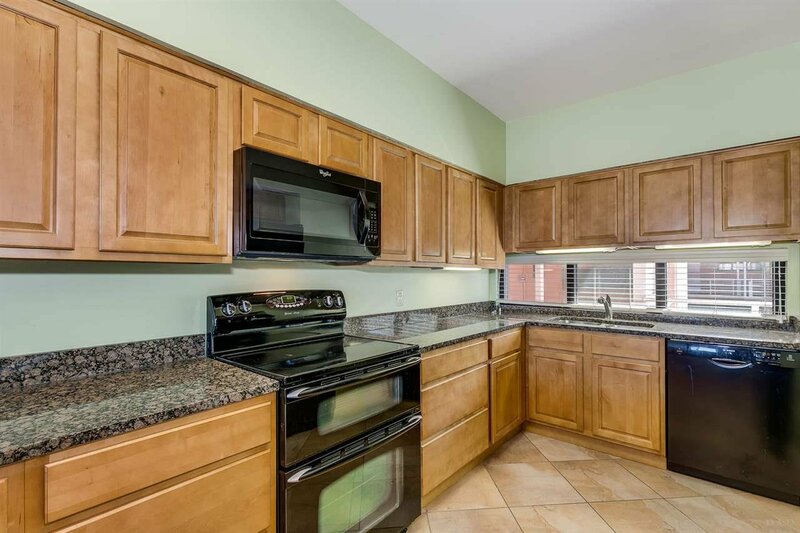 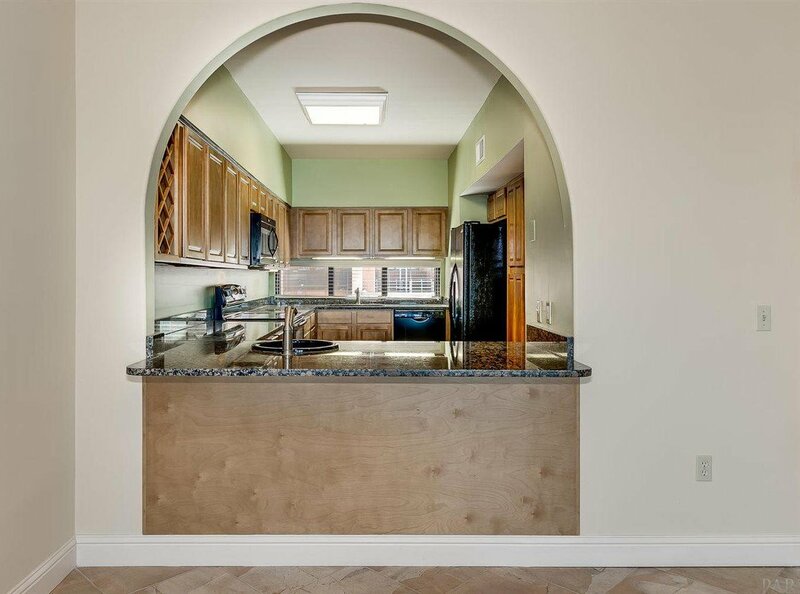 The kitchen has an abundance of cabinet and counter space with a pass-through breakfast bar opening to the dining and living areas. 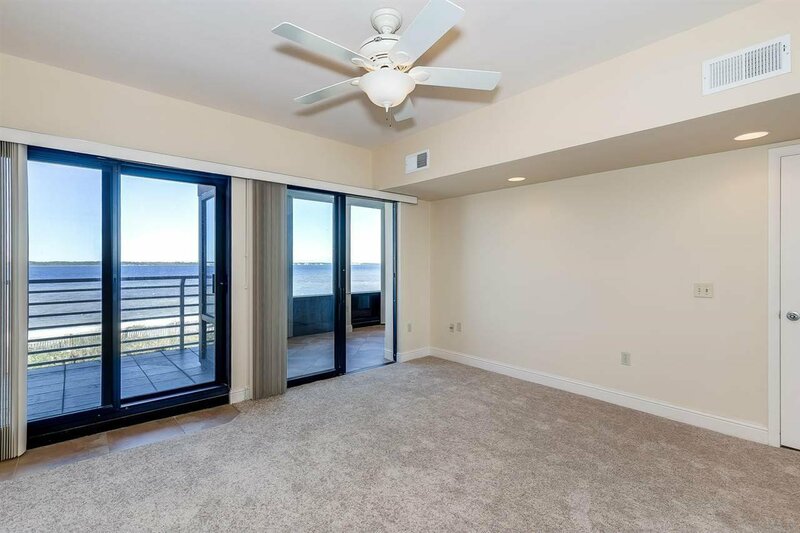 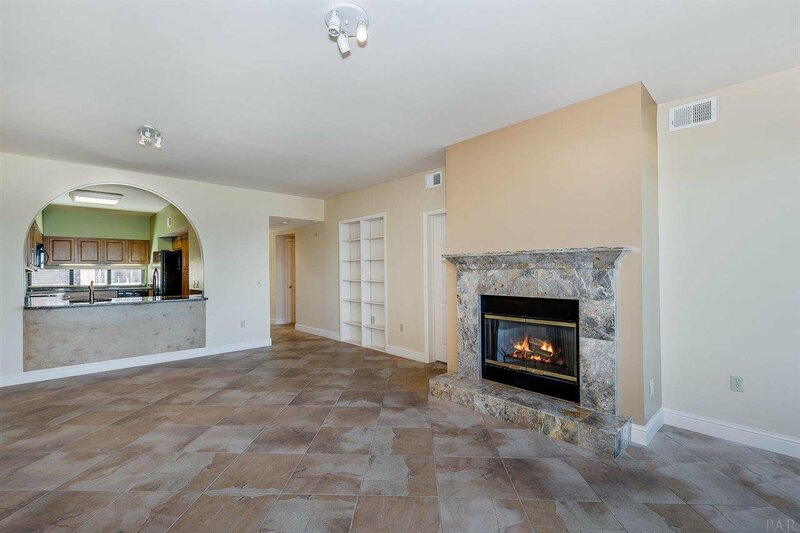 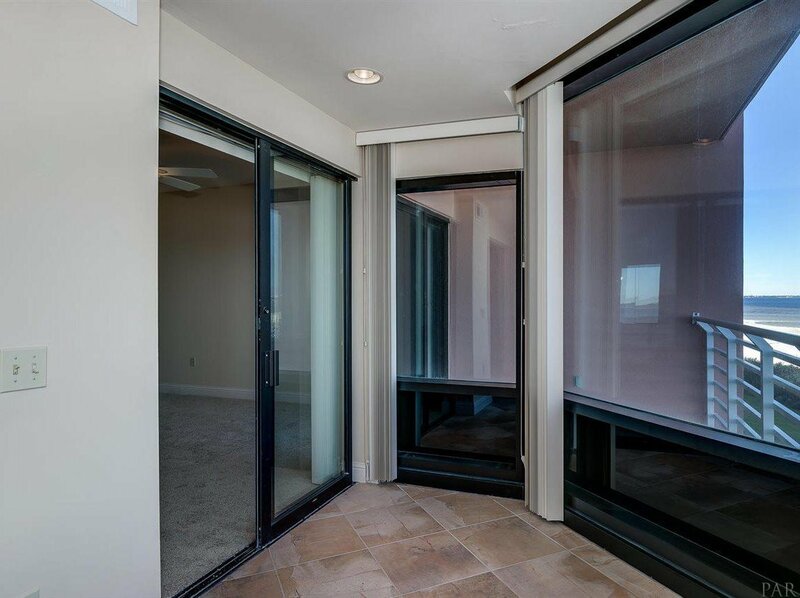 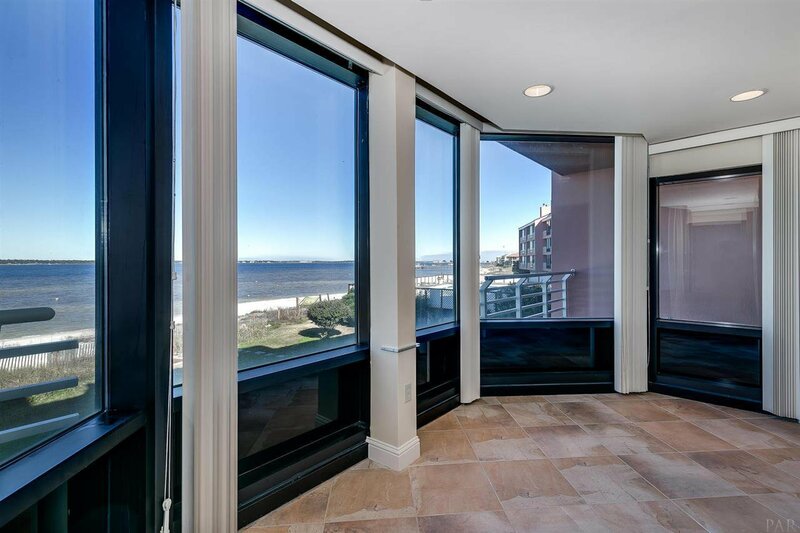 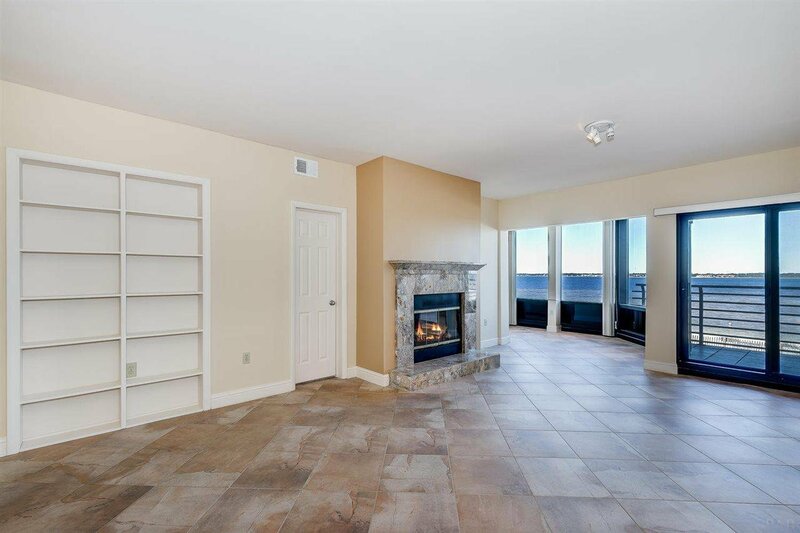 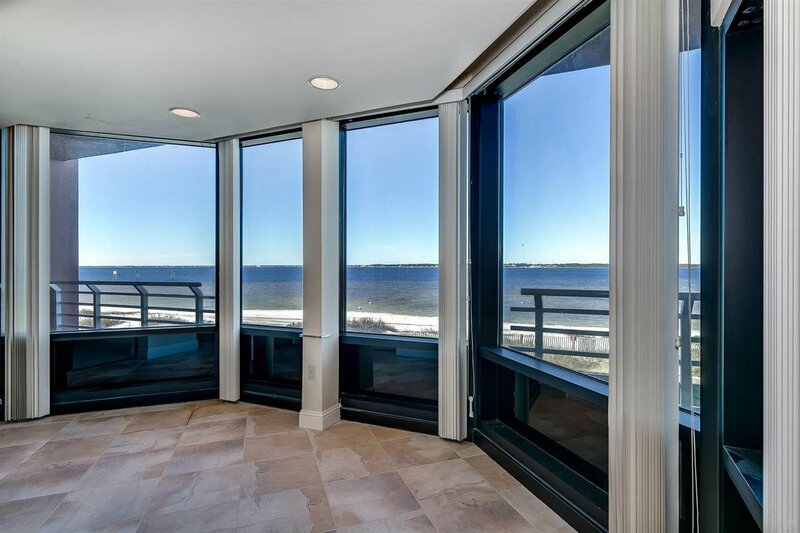 The living room features a fireplace and balcony with gorgeous views of the Intracoastal Waterway. 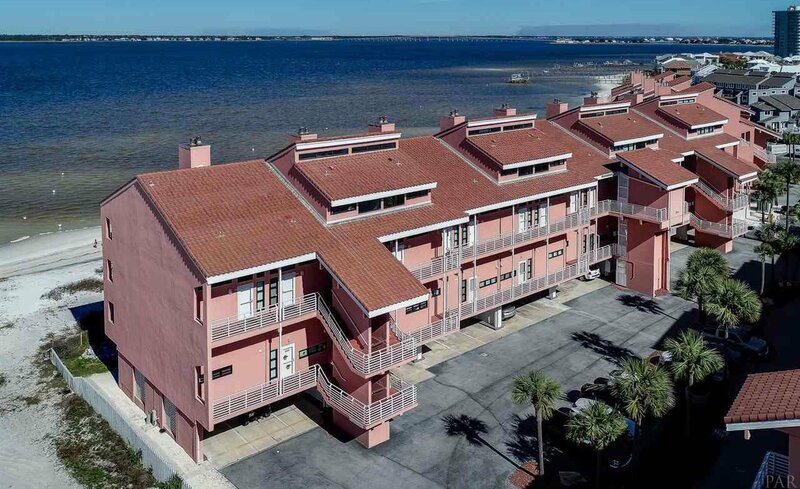 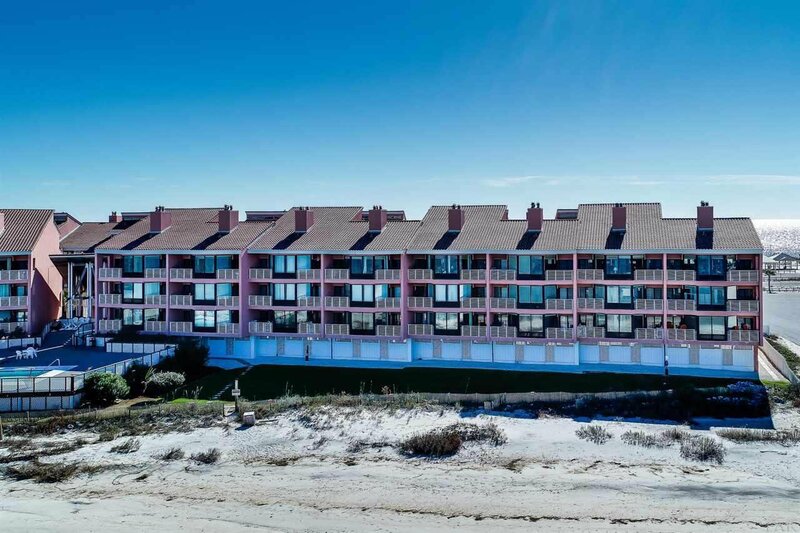 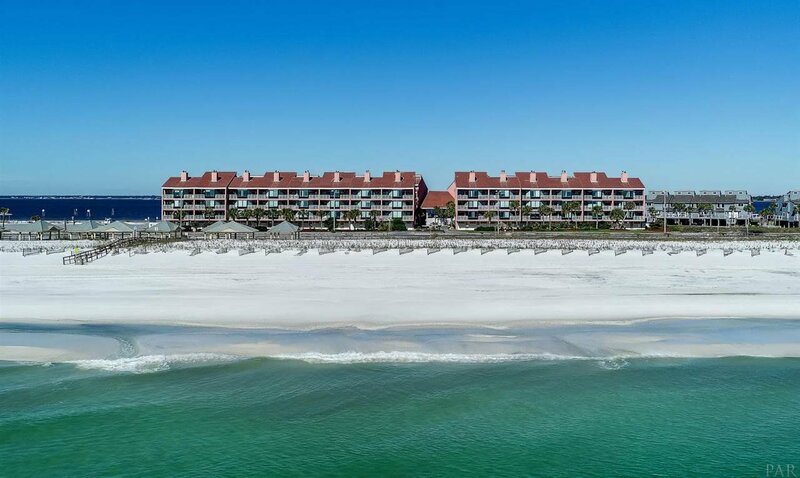 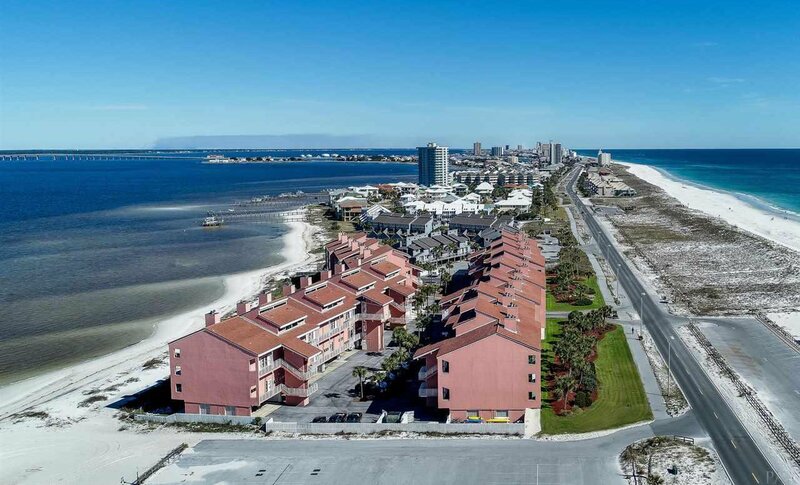 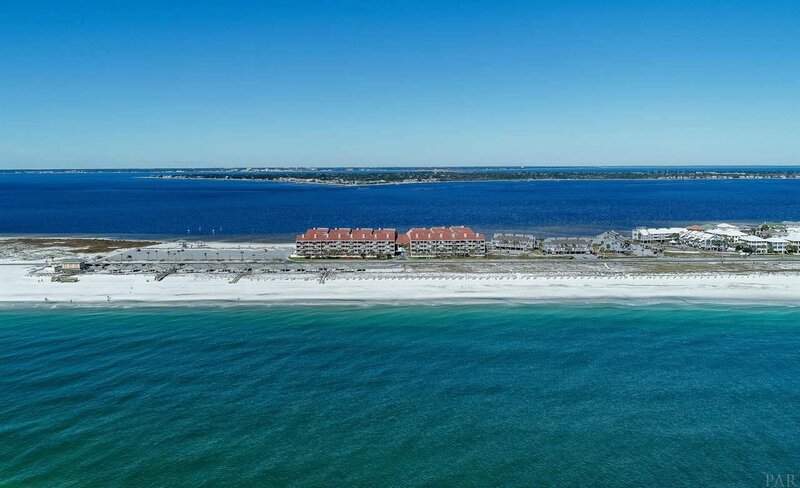 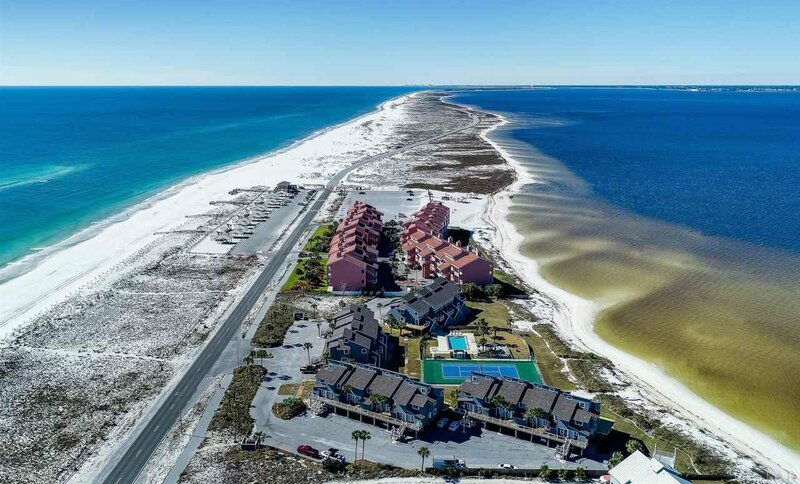 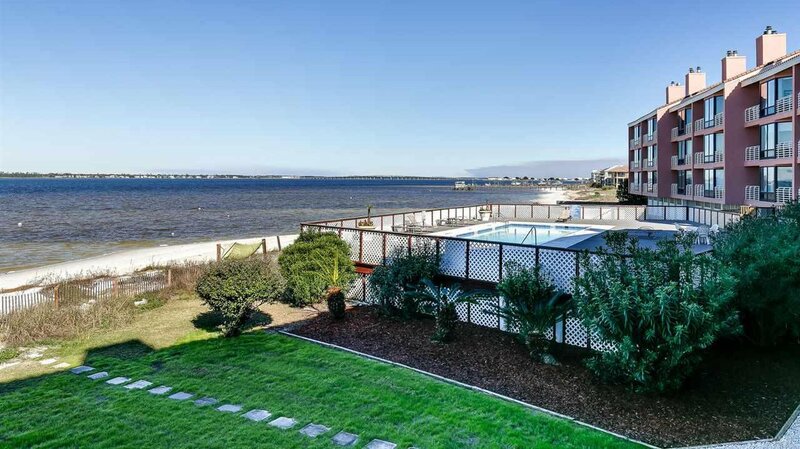 Palm Beach Club is the last complex on Pensacola Beach before reaching the Gulf Islands National Seashore. 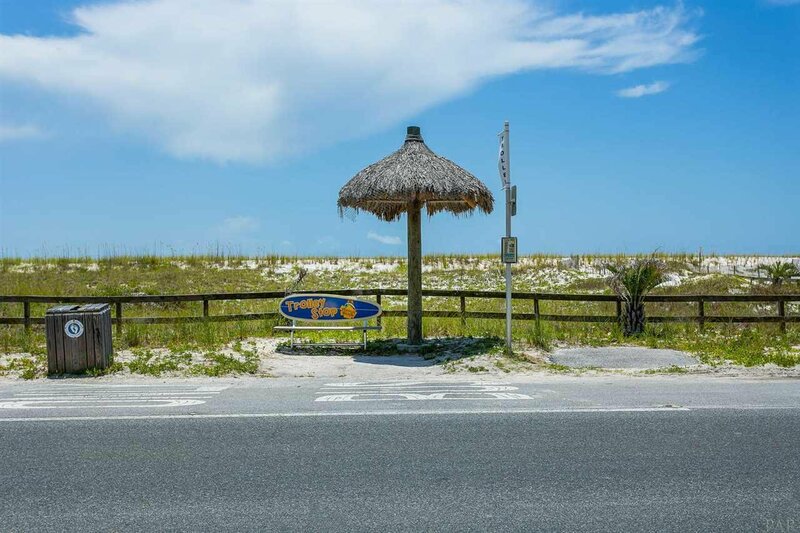 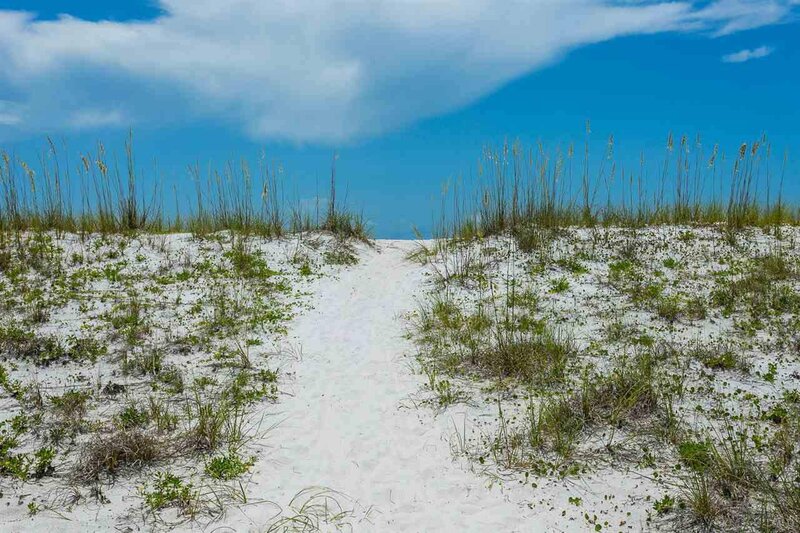 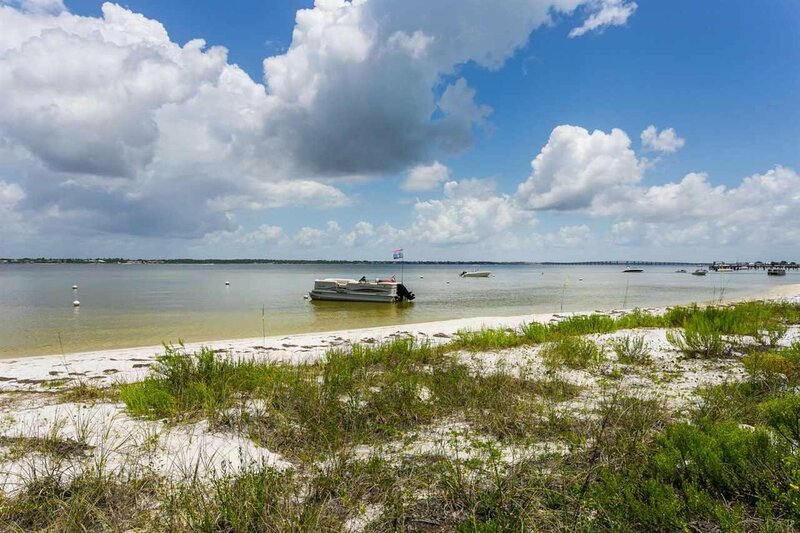 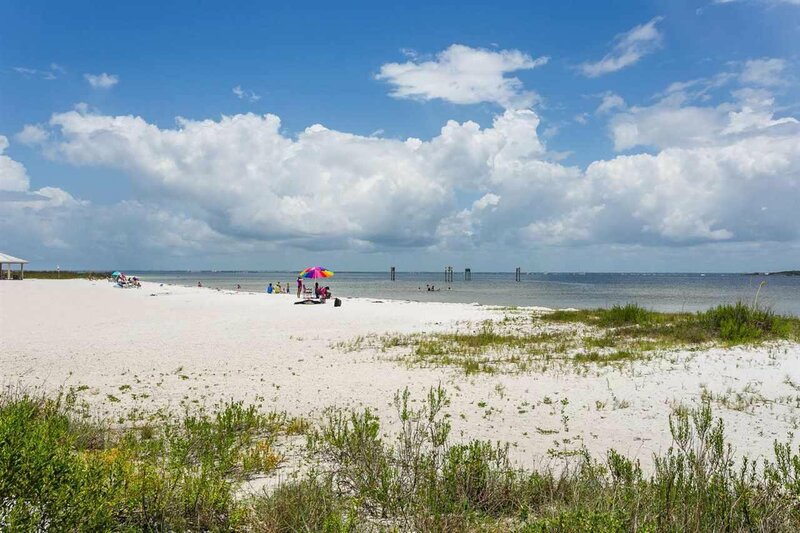 Own a piece of paradise and make your appointment today!